Adera At Coconut Point, a new planned 180-unit apartment community has been approved by Estero Design Review Board. The project will include a mix of studio, one bedroom, two bedrooms and three bedrooms apartments. Estimated rent to be between $1,200 to $1,400 per month. The 13 acres parcel is located at the southeast corner of intersection of Williams Rd and Via Coconut Point, close to Hertz headquarters, Coconut Point Mall and the communities of Rapallo and Shadow Wood The Brooks. This is the complete real estate market report by categories for Rapallo At Coconut Point in Estero FL for the sales in 2017. In 2017 33 properties have sold in Rapallo. As of today there are 22 properties on the market, equivalent to a 8-month supply. – Average Sold Price Per Square Foot: $189. – Average Days On Market: 73. – Average Days On Market:171. – Average Sold Price Per Square Foot: $171. – Average Days On Market: 211. – Average Sold Price Per Square Foot: $222. – Average Days On Market:155. Let us know if you have any questions about Rapallo At Coconut Point, in beautiful Estero Florida. None are under contract at this time. Year-to-Date, six condos have sold in the Terraces at Coconut Point. View Sales. Let us know if you have any questions about the Terraces and Rapallo At Coconut Point in general. The Residences At Coconut Point – Best Buy Condo! The Residences At Coconut Point. Beautiful top-floor condo for sale! Open Floor Plan. Travertine Floors. Crown Molding. Stainless Steel Appliances. Upscale Granite. Two extra-storages. One dedicated covered & secured parking space. Walking distance to shopping, restaurants, movie theaters, groceries. Offered Turnkey Furnished at $262,000! Author Dominick Tascher Group - BlogPosted on August 9, 2017 Categories Coconut Point, New listing, The ResidencesLeave a comment on The Residences At Coconut Point – Best Buy Condo! 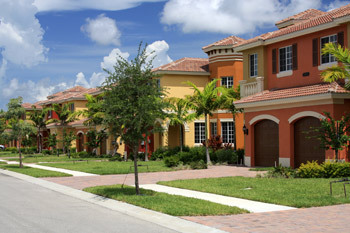 Mirasol At Coconut Point is a quaint gated community in The Village of Estero at walking distance of Coconut Point Mall. Sales are doing well in Mirasol as there are only 8 properties on the market. Here is the quarterly real estate market report (1st Quarter of 2017) for Mirasol. There are 8 condos on the market in Mirasol. Average days on market: 129. 3 condos are under contract. Listed from $228,822 to $239,000. Average days on market: 53. 3 condos have sold in the past quarter. Average days on market: 232. Average Sale Price/Square Foot: $173. Let us know if we can help you with any property on the market in Mirasol.